Earth Day is such an important holiday to teach kids about. Kids as young as preschool aged can learn simple ways that they can help take part in making our planet happy and not being wasteful. 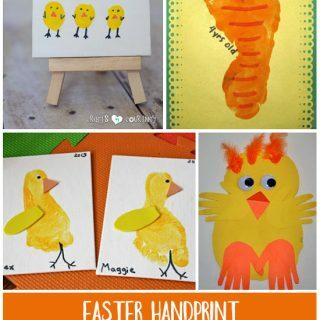 Here are 8 fun Earth Day handprint crafts that are perfect for preschoolers and early elementary aged children. Stop by Messy Little Monster to see instructions for making this simple DIY Flower Pot Fingerprint Craft. It also make a cute birthday, Mother’s Day, and Grandparent’s Day gift. Crafty Morning has the CUTEST handprint crafts. Loving this clever way she suggests teaching younger kids that they hold the power to keep the Earth healthy. Worried about a mess? 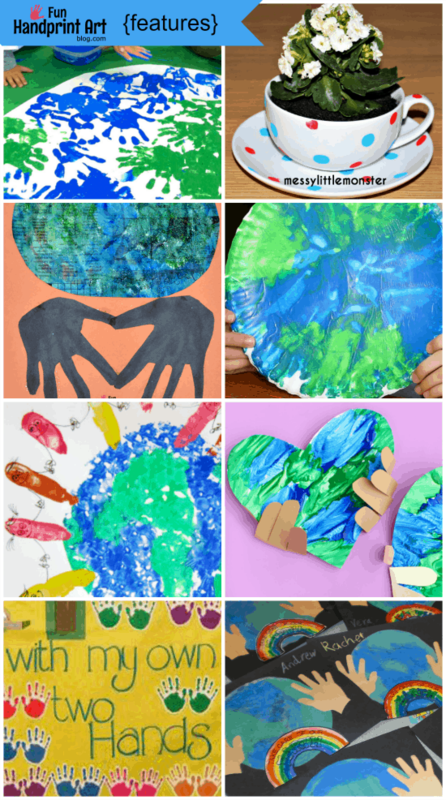 Still Playing School shares a mess-free way to fingerpaint a paper plate Earth! Last month we shared a fun process painting activity and turned painted newspaper into artwork. For a fun bulletin board idea, the kids over at Kinder Craze made a gorgeous collaborative art project. For a fun classroom door idea, this ‘I Can Change the World with my Own Two Hands’ project found on MPM School Supplies is a great idea! Patties Classroom blogged about how she teaches her students about taking care of the earth. The kids also made a coffee filter art project with a saying written on a rainbow. Make a fun handprints around the world bubble wrap craft over at Mermaids’ Makings. 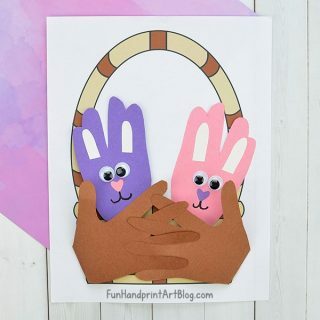 It looks so neat and kids will love turning their printed fingers into people! 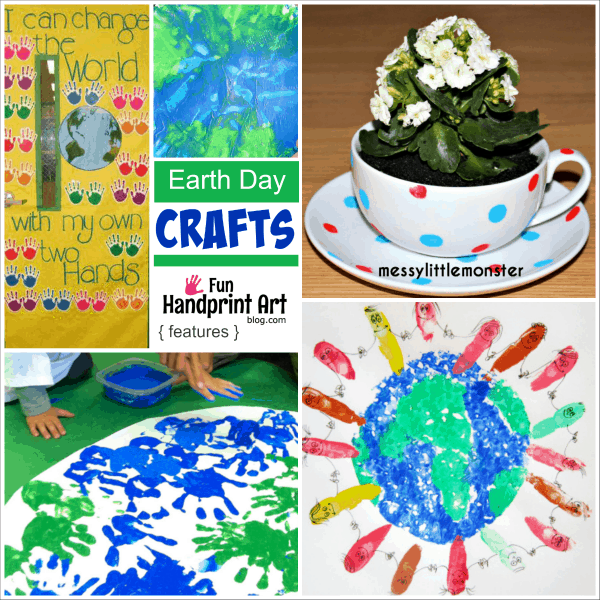 For more ideas, check out this Celebrate Earth Day with Handprint Art post we shared as well as this round up of Earth Day Handprint Crafts. For kids books to go along with these fun crafts, head over to Artsy Momma to see the list of exciting Earth Day Book for Kids we shared.